A new surgical device has been manufactured which has, at the same time, overcome cost and strength problems. It has taken around 12 years for developers to get this far after it was discovered that their product did not have the strength for the necessary medical procedures. So the next 12 years were spent solving this issue of strength within a certain monetary frame, as medics knew that the metal jaws were key to their fine dissection work. So a hinged jaw has been manufactured to be part of a single-use shear hand piece which is to be used by medics in order for them to perform intricate haemostatic dissection of human tissues in a range of medical areas. These single-use shear hand pieces are used with ultrasonically activated blades and the hinged jaws have now been made out of an often overlooked metal, Hastelloy. Hastelloy is an alloy with both high nickel and chromium content, which is not only strong but also corrosion resistant, therefore being the medics metal of choice in this area. The capabilities of this new medical invention and metal injection moulding process have facilitated new found and close working partnerships between that of leading medical device manufacturers, including that of Swann Morton. 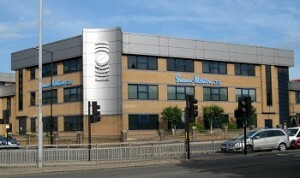 Swann Morton are well known in the medical industry and rely on that of independently owned companies to provide them with complex and often small parts which cannot be manufactured in the traditional ways, often this is due to prohibited costs or design issues, not lack of ability for manufacture. If you are interested in purchasing Swann Morton products today, then why not contact Knife Point. Based in Sheffield, Steel City, we have over 30 years of experience enabling us to find the perfect tools for you. Here at Knife-Point, we are devoted to selling high quality products at competitive prices, through excellent service and communication, all within a rapid delivery time. So give us a call on 07737 133 030, email sales@knife-point.co.uk or click here to be taken directly to our website to find out more about our range of different available knives. These can be sterile or non sterile but either way, they are made out of carbon steel. The non sterile blades come in blister packs of 5, packs of 100 and the sterile blades also come in packs of 100 but are individually sealed, hence their sterility! For use with either, you may also wish to consider purchasing a Swann Morton blade remover unit which are available in packs of two, five or ten and hold up to 100 blades each. Both of these items are commonly used in the medical or dental industry as they are highly reliable scalpels which make very fine incisions, perfect for detailed surgery or oral work. 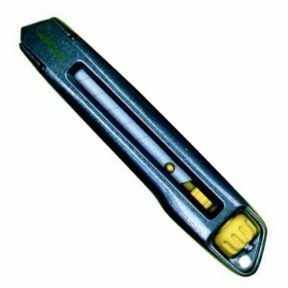 An extra heavy duty straight blade which fit all types of Stanley, Stanley Fat Max, Dolphin, Allegro, Shark and other hand tool types. We love this blade type due to its versatility. It’s incredibly sharp so can cut easily through a large variety of materials with the blade lasting a much longer time than an average knife. This means that there is less down time so it earns you more money, especially as it is snap resistant. 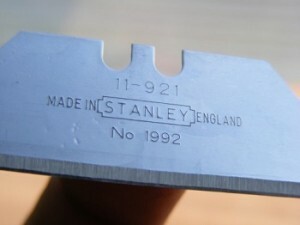 The Stanley Fat Max is a good value knife which is highly valued by all tradesmen and is of course made by the world famous company, Stanley, whose reputation precedes them. Planer blades have made our top list because they will fit AEG, Black & Decker, Bosch, Festo, Haffner, Holzher, Kress, Mafell, Metabo and Scheer & Skil planers – what we mean is, you can buy one set of planer blades and they will work with any of these makes of planer! This saves you money, rather than having to buy lots of different blades for lots of different tools! They are made out of fine grain tungsten carbide and have an incredibly high quality, shiny finish, which is often described as a ‘mirror’ giving these blades the sharpest and keenest edge around! Another innovative design from Stanley, where practicality meets safety! These knives have blades which are created out of die-cast metal making them incredibly strong yet still light. Stanley have created this knife with a retractable handle so that the blades snap-off if there is an issue so as not to damage the knife or indeed the user! These knives are easy to use, making DIY open to anyone, with their finger screwing operative locking mechanism and strong wedge type lock which holds the blade securely in its wanted position. With Snap-Off Knives, it’s definitely safety first! 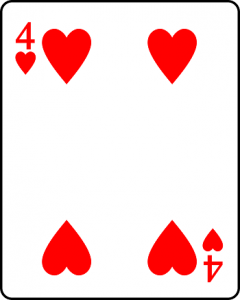 If you are interested in purchasing any of the ‘famous four’, then why not contact Knife Point. Based in Sheffield, Steel City, we have over 30 years of experience enabling us to find the perfect tools for you. Here at Knife-Point, we are devoted to selling high quality products at competitive prices, through excellent service and communication, all within a rapid delivery time. So give us a call on 07737 133 030, email sales@knife-point.co.uk or click here to be taken directly to our website to find out more about our range of different available knives.